NOVAA offers many ways for members to get involved with the operations of the organization. Committee membership is also a great way to put some of your additional talents and expertise to use or develop a new skill. Committee positions can be long or short-term, depending on the project. Meeting schedules vary from committee to committee - some meet monthly in person, while others primarily communicate online. There are generally opportunities available for every length of involvement - whether you only have an hour or two to give for special projects, or are interested in a regular, monthly involvement. 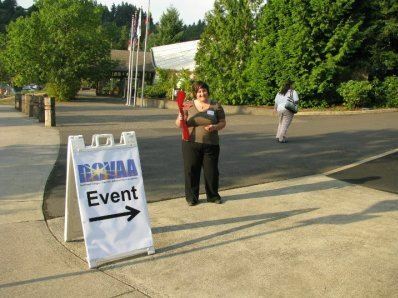 The Program Committee’s mission is to position NOVAA as the leader in delivering practical, supportive, and accessible learning opportunities that enhance the effectiveness of volunteer engagement in northwest Oregon. Activities include identify the learning needs of local professionals whose work is tied to volunteer engagement, developing programming that meets those needs, and increasing NOVAA’s membership by building a reputation for consistently delivering value. If you consider yourself a volunteer management professional who is committed to innovation, integrity, collaboration, and advocating for both individual volunteer managers and the profession of volunteer administration, serving on this committee can transform your career. To learn more, please contact program@novaa.org for more information. We will work with you to find the ideal way for you to share your voice! The Professional Development Committee manages all of NOVAA's programs that provide ongoing training opportunities for volunteer managers. This committee organizes and plans the Volunteer 101 and 201 training workshops, as well as the CVA study groups. If you have a passion for continuing education, this committee would be right for you. Contact ProfessionalDevelopment@novaa.org for more information about joining the Professional Development Committee. The Membership Committee is responsible for all things membership-related: recruiting new members, engaging current ones, and following up with lapsed members. We put on the annual membership drive, manage membership renewals, and answer questions about membership benefits. We also plan and host happy hours and morning meet-ups for our members to meet, network, and talk with others in the volunteer administration field. If you are interested in membership, and would like to learn more, the membership committee is your one-stop-shop. The Membership Committee also strives to ensure that members are getting good value for their money, and makes sure to keep membership accessible for all volunteer managers. If you are interested in learning more about serving on the Membership Committee, membership@novaa.org for more information. The Marketing & Communications Committee is responsible for the creation of marketing collateral, website development, management of the social media accounts, external marketing, and member communications. Anyone interested in developing their marketing skills, or utilizing existing skills would enjoy a spot on the Marketing & Communications Committee. Opportunities exist to write guest blogs, create Facebook or Twitter content, or employ their graphic design talents. Contact marketing@novaa.org for more information.